Editor’s note: I am thrilled to have feminist icons Margie Adam and Jewelle Gomez on Epochalips. These two have influenced our generation by paving the way as feminists and out lesbians in the early days to continuing to share their gifts with the world today. The following is the first of several excerpts from their recent conversation. Margie: You are a proud radical lesbian feminist. I know you are well aware that brilliant accomplished women writers are still underrepresented in the library and on bookshelves. 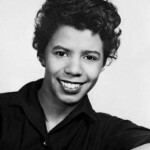 Some might suggest that Lorraine Hansberry is one of those writers. Did you have any ambivalence about writing a play about James Baldwin instead of Lorraine Hansberry? Jewelle: I have a set of complex feelings about that question. The good news was I had read Baldwin early in my life – Giovanni’s Room and Another Country – when I was high school age. My father had a great collection of all kinds of books and those two were books were among them. I read them really young and always admired Baldwin’s work. I felt very connected to his writing and his use of language was so tasty. Hansberry I came to a little bit later and I saw the film “Raisin in the Sun” with Sidney Poitier, Ruby Dee, and Diana Sands, and I was mesmerized by it. At the same time it was a little odd because it was a film of a play. I didn’t come to know more about her work until I was in college and at that point I became really fascinated by the idea of her but by then, she had passed away. I went to see subsequent plays of hers but there really wasn’t that much biographical written about her. Margie: Do you think now that was because she was a lesbian and that, like many lesbian artists, her personal life was left off the table? Jewelle: I think it was because her husband was her executor and he kept her papers closed except to people he hand-picked. I think he, rightly or wrongly, did not want to have her dismissed as a lesbian. She wrote to Phyllis Lyon and Del Martin saying that the world of women was her world and made it very clear to them personally that she was a lesbian. She wrote more than once to The Ladder (Daughters of Bilitis Magazine) and at least one letter was published under her name. Margie: Jewelle, that was really brave, was it not? Margie: You know, in the mid-70s, Dusty Springfield recorded “Beautiful Soul,” a lesbian love song I wrote in 1974. It was so shocking to me that she was able to do that – personally and professionally. At the time, she was well known with a great reputation and had a lot to lose. But she heard that song and it cut right through to her heart and she recorded it. At the time, I was just at the beginning of my career as a singer/songwriter and the Women’s Music Movement was in its infancy. I didn’t know how unusual the whole situation was – that a famous recording artist like Dusty Springfield would record the work of a completely unknown songwriter. When I think about her now, because she was a lesbian just below the radar, I think of how extraordinarily risky it was for her to go into the studio with all those men, the producers, the musicians, the engineers, and present them with this song. She took a friend’s bootleg cassette tape of me singing the song at a Los Angeles Women’s Building concert and asked the ABC Dunhill arranger to create a full orchestral arrangement from my piano accompaniment so she could record it. And he did! Jewelle: Yes, she probably couldn’t restrain herself anymore – anymore than she could hold her breath forever. After college, as I became interested in Hansberry and read her work, I became more aware that critics had shaped our responses to her work. So that whenever people talk about “Raisin In the Sun” they don’t really talk about the daughter and that the play is a battle about her goals, her ambitions to be a doctor, her refusal to bend to the prescriptions of her African boyfriend even though its all right there. The son’s wife is making a case for choosing not to have a child. She gets squashed by the mother. There are all these complex things in the play but what gets the focus is Walter Lee’s desire to buy a liquor store and the mother’s desire to move to the suburbs. I used to do a talk about her as a proto-feminist. I wrote a piece about her in a black academic women’s magazine called “SAGE” and they asked if they could publish my talk. So I sent it to them and they kept it for a long time. And then they sent it back. They said it wasn’t right for the magazine even though they were doing a special issue on Lorraine Hansberry. When I looked at the pages, they had been doing their editing until they got right to the part where I mentioned she wrote to The Ladder. That’s where the editing stopped. There continues to be a conspiracy to make lesbians invisible. And not just lesbians. I was in the Liberace Museum with those little old ladies, listening to them say how much they loved him, how wonderful he was. They don’t want to hear he was gay. © 2012 Jewelle Gomez-Margie Adam Interview. All rights reserved.